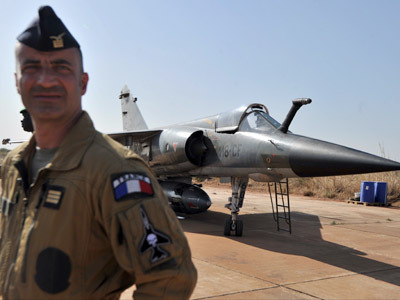 ­On Thursday, French Defense Minister Jean-Yves Le Drian revealed that a French contingent in Mali has already increased to 1,400 personnel, from an initial deployment of 550. On Tuesday, Paris announced plans to deploy 2,500 troops – including French Foreign Legionnaires – into Mali, a former French colony. 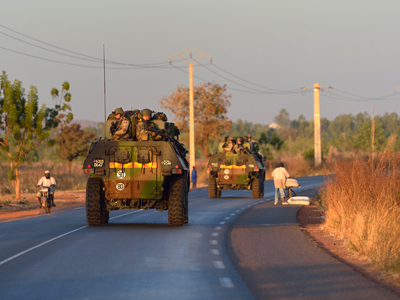 Initial clashes between Islamist rebels and Malian and French ground troops erupted after they surrounded the rebel-controlled city of Diabaly, 400 kilometers from the capital Bamako, Xinhua reported. 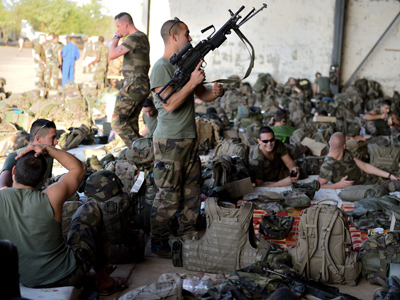 About 200 French soldiers took part in the operation, a Malian security source told Xinhua. According to witnesses, women and children fled the town before the operation started. Al-Jazeera has reported that fighting took place about two kilometers away from the center of the city, “away from the civilians.” Rebel forces have also clashed with Malian troops “[supported] by the French army” near the central town of Konna, a source told Al Jazeera. Nigerian troops are expected to arrive in Mali on Thursday, and forces from Niger will be deployed soon on the Mali-Niger border, said Aboudou Toure Cheaka, special representative for the president of the Economic Community of West African States (ECOWAS). Senior diplomats of the EU's 27 member-states have agreed to send 200 instructors and some security personnel to train the Malian army in fighting Islamist militants. On Wednesday, reportedly in retaliation to the ongoing French military campaign, a group of heavily armed militants raided a BP oil plant in Algeria, killing three foreigners and taking 41 hostage. Michael Maloof, a former Pentagon official, told RT that al-Qaeda plans to use Northern Africa as a launch pad to gain access to Europe. 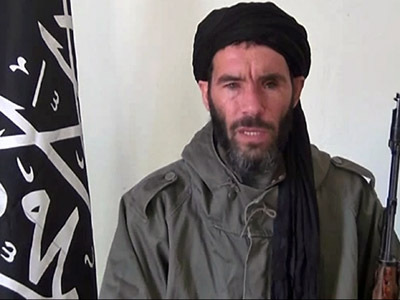 These “Malian rebels” are very well trained, Maloof explained, as they’ve been prepared for and involved in operations not only in Mali but in Libya as well. 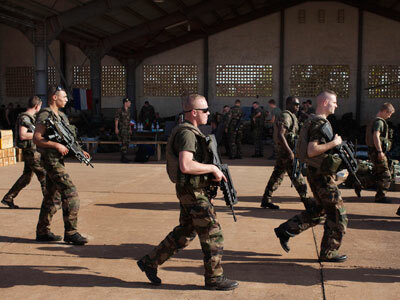 France's Mali intervention simply a PR move?